With the advancements in computer technology, we know that hard drives have become larger, but still they somehow fill up. The chances are more if you have a (SSD) solid-state drive because it gives you less space in hard drive than a usual mechanical hard drive. If you want space for your hard drive, some tricks can help you to free up some space to keep your important files or programs and this is done by eliminating unimportant junk that clutters up the hard disk. Windows have a tool which built-in allowing you to delete temporary files or any unimportant data. 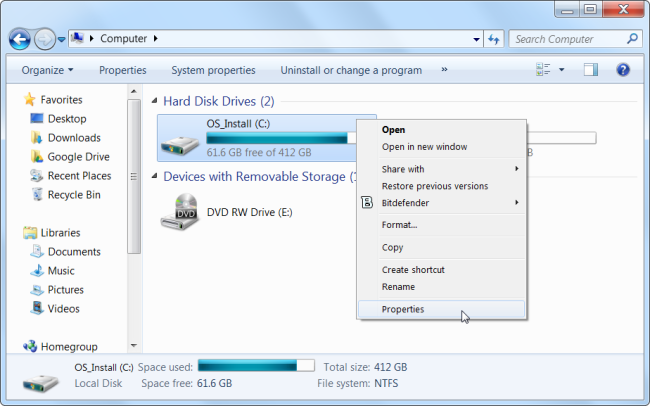 You just have to Right-click on any of your hard drive in the windows and select Properties. 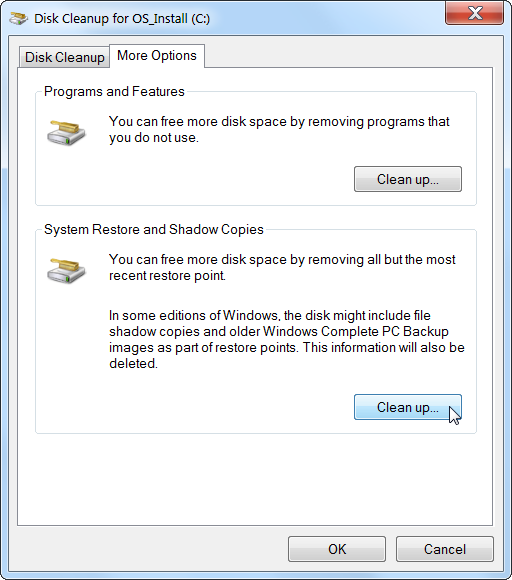 Click Disk Cleanup in window of disk properties . Select files to delete after that click OK. You can include log files, temporary files, recycle bin files, and other unwanted files. This way you can easily cleanup your system files as well, however they do not appear in this list . 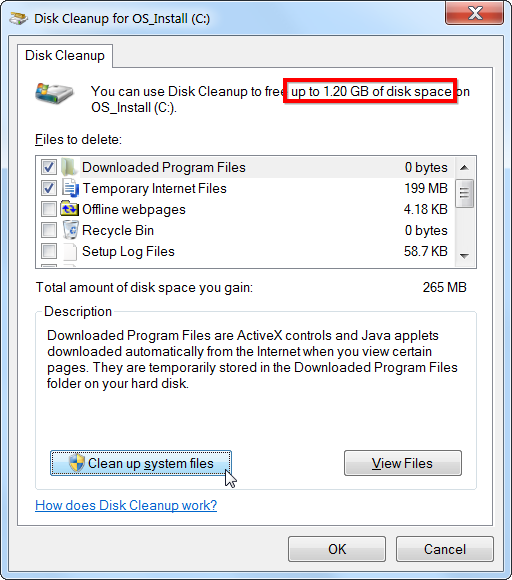 You will have to Click Clean up system files for deleting system files. After this, click on More Options and then on Clean up which is under the System Restore and Shadow Copies for deleting the data of system restore . This will delete all recent restore points, so make sure your system is in a good working condition before trying this option – since later you cannot use any previous system restore point. 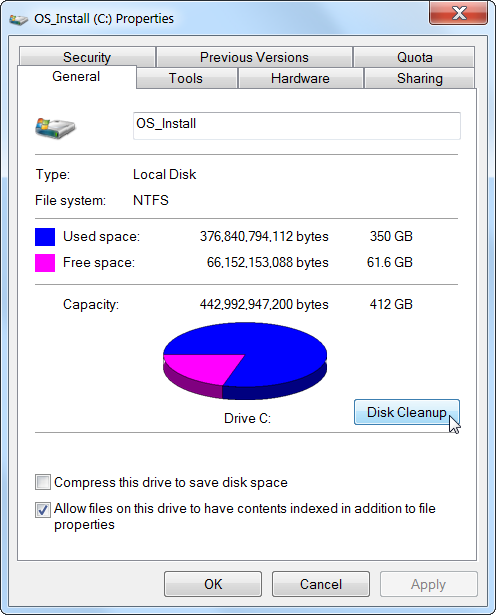 Uninstall programs that take up space in your system since this will free up more space; however there are some programs that use only little space. From Programs and Features in control panel, click on Size to see the space that each program on your system is using. Another easiest way is searching “Uninstall programs” in Start Menu. If this column isn’t visible, you should click on options on the top right of that list and click on Details view. Remember, some programs fail to give accurate report about their space usage. You can also use some third-party uninstaller for example Revo Uninstaller if you want to have a free space and remove unwanted or leftover files in your computer. For Windows 10, open PC Settings then System and then Apps & features. This way you will remove either regular apps or Windows Store apps, and it should work on your tablet as well. You can, certainly, still open Uninstall Programs given in your old Control Panel. If you want to know what programs are using the space in your hard drive, start using hard disk analysis program for this. Such applications actually scan the hard drive and then display which files or folders have takes most space. However if you are looking to start with some third party tools to analyze hard disk space, try out WinDirStat (Download from Ninite). 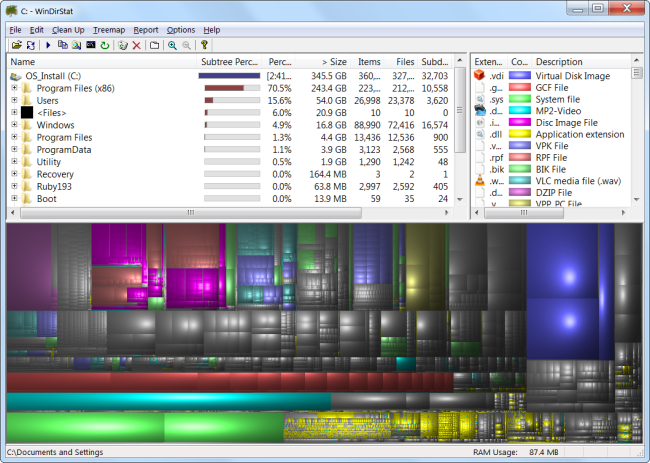 Once you scan the system, WinDirStat shows exactly which file types, folders and files that are using the space more. Make sure you do not delete any important file of your system –delete only your personal data or files. You can also uninstall a program if its folder in Program Files is using a lot of space – WinDirStat tells you the amount of space each program is taking, even if Programs and Features in Control Panel does not. The Disk Cleanup tool in Windows’ is very useful however it does not delete the other program’s temporary files. For example the Chrome or Firefox or browser caches won’t get cleaned by it and this also uses gigabytes of your hard disk. For aggressive temporary or junk files cleaning, you can go for CCleaner, and download here. CCleaner can clean up junk files easily from various third-party programs additionally it also cleans Windows files which Disk Cleanup doesn’t even touch. An application of duplicate-file-finder lets you scan the hard drive to find duplicate files, since these are unnecessary and you can delete them. You may shell out some bucks and use Duplicate Cleaner Pro, it has a nice interface and loads of features that will help you trace and delete your duplicate files. 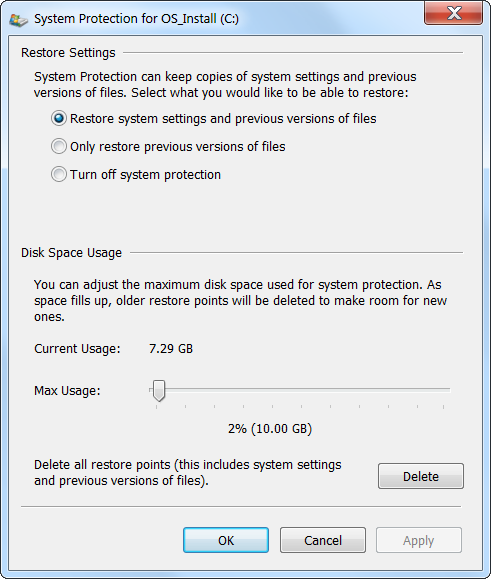 If your System Restore has been eating loads of space in hard drive for restore points, just reduce the amount of hard disk space allocated to System Restore. You can have fewer restore points for restoring to your system and fewer older copies of the files for restoring.You can also free up some gigabytes by lessening the space that your System Restore takes. Disable Hibernation – During hibernation the system saves the RAM contents to the hard drive. This lets your system save its state which means the next time when you start your PC you will have everything what you left. The contents in RAM are saved by Windows in C:\hiberfil.sys file. For saving space in hard drive, just disable hibernate entirely,it will remove the file. Disabling System Restore – For reducing the space you can also disable System Restore entirely. You will not be lucky enough if anytime you want to use System Restore to restore your system to an earlier state, hence be warned.